Starring: Heather Dorff, Kelsey Zukowski, Tina Renée Grace, Kitsie Duncan, Kitsie Duncan, Dave Juehring, Tyler Klunick, Jolene M. Aldus. Plot: They thought she had the perfect life; wealthy and privileged, an honor student with her whole life mapped out. What they didn’t know was what lied inside of her; pain and anguish; tearing at her until there was nothing left. Lost and alone, the young women (Heather Dorff), finds solace in the form of a glistening blade, splitting her skin deeply. Her self-indulgent mother and obnoxious sister (Kelsey Zukowski) are completely oblivious to her inner-turmoil. She has long since become numb to the world around her, getting that sensual release, as the razor cuts deeper, watching the blood drip, is all that matters. As soon as the last drop falls, the calm is stripped away from her with it. How far will she go to silence the hunger that now consumes her? Will she be able to regain control of her life, body, and sanity? 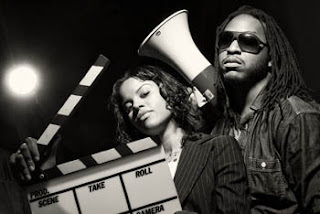 My Thoughts: Over the course of 2011, I’ve covered the Fathead Films project “What They Say” in multiple articles throughout the spring and summer, though much of the plot has always remained vague to you, the reader and I, there was always a sense of what’s to be expected from a film such as this. From the eerie tone the movie stills displayed, to the darkly themed synapses, everything regarding this project including the gory details shown in its teaser trailer called out a darkness that was equally compelling as was seriously disturbing. But to speak completely frank here, there was no way of preparing me for what was to come next when I actually screened WTS. To try and describe what I had seen during the screening without giving away any specific details or spoilers for that matter, would be calling it twistedly delighted. Its gory visuals are bloodstained yet oddly beautiful, setting an atmospheric narrative that captivates you in a cloud of physical and emotional pain. The film’s plot is indeed astonishingly unsettling and yet weirdly enough calming with beauty. Within the first few minutes of viewing the film it becomes perfectly clear that WTS’s plot is deeply personal from the heart and mind of the writer, the story carried such a level of remarkable storytelling that it felt rich with raw emotion, that its essence was captured from a dark place in their life. Or at least that’s what I got out of the experience itself. That’s another thing I found so compelling and deeply fascinating with “What They Say”, is that it’s hardly something that one can summed up in words. Like an emotion, it must be felt and experienced firsthand to get a full detailed understanding of the experience itself and to fully comprehend its message. Some will argue that WTS is a horror with dramatic themes, while others will say it’s a dark drama themed with horror elements. I however, would classify it as neither. The way I saw WTS play out, or at least in my opinion, was more in line of a character study into the human soul and the darkness that dwells within. A dark passenger if you will, that lurks within us all. For many that darkness is always kept at bay never seeing the light of day, but for some that darkness is always just beneath the suffice trying to scratch and claw its way out. The question this film left me thinking with by the time it was over was; what happens when that darkness suffices? As for the acting: the acting here is quite impressive. Heather Dorff delivered an outstanding performance in the lead. Her delivery is so well done and on mark that it felt less like a role and more like the character was living through her; the way she handled herself was dignifying and graceful to say the least. Her performance expands beyond the role itself, but rather on a deeper level that brings a certain aspect to the role that one could argue was as intimately personal to a role that any actor playing a character could get. Kelsey Zukowski gave a stellar performance as a co-star alongside MS. Dorff, showing a remarkable performance for someone still fairly new to the acting scene. Aside from her astonishing writing as a screen writer and columnist, Kelsey displayed another talent to add to her résumé with acting, making her the ultimate scream queen to look out for in the near future. Tina Renée Grace also did a fine job in her performance. Though my first encounter with her work as an actress was just earlier this year with the indie short “Love is Not Enough” I ‘m very impressed with her thus far and would even consider her as one to watch! Final Say: What They Say managed to live up the hype and so much more, in my opinion. If there’s anything I take away from watching this film, it’s that it will take you on a personal journey to the edge of insanity and show you that it’s only through the darkness that we see truth. If there’s any indie short to see this year, What They Say is it! I highly recommend it! If you’ve ever heard the phrase Fangbanger or have the overwhelming urge to say “You are mine” in a deep seductive southern accent, then it’s most likely you’re a fan of author Charlaine Harris’ The Southern Vampire Mysteries AKA The Sookie Stackhouse Novels AKA True Blood (wow that a lot of AKA’s.) and most likely an even bigger fan of the hit HBO series. With that being said, one could argue that True Blood played a huge part to the recent successes of vampire lore being a popular topic in all forms of media today. And with the series being at an all-time high in ratings and popularity what could possibly make the show even more interesting? Well how about some new faces added to the cast for the next season? 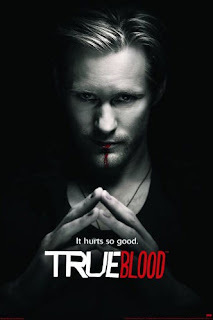 Yep that’s right, Deadline reports that two new actors have been cast for the 5th season of True Blood. At the moment the creators have been mum on anything regarding the production of next season including what direction the general plot will be taking next year. However, with that being said, Deadline acquired an expulsive regarding the two new additions to the cast. Actress Kelly Overton and actor Louis Herthum will be joining the cast next year with each getting a 6 to 7 episode story arc next season. 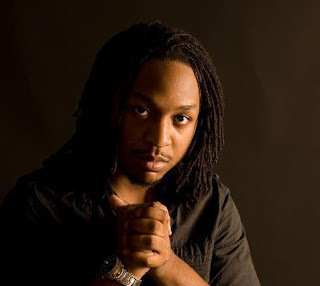 Overton, will play a dirty, beautiful werewolf named Rikki who demands to know what’s become of the pack leader. Herthum, will play a particularly large Marine-type werewolf who refuses to bow down before the new pack leader. Meanwhile there is still no official word by the creators or not if season 5 will in fact be the shows last season or not. As hinted by the creators early this year, there have been some hints at the possibility that season 5th may or may not be the last season for the hit HBO show. For now Trubies will just have to wait it out until official word on the subject does come down the wire, If and when word does arise you can bet we will report it. Side Tidbit: I’m probably going to get some heat from this but I honestly don’t care, if you think Twilight is what Vampires are, then you know nothing about vampires and don’t deserve to call yourself a fan of the lore. We at The Critic’s Word are rather huge fans and supporters of Showtime’s Dexter and have been watching the show’s production quite closely throughout the years. And despite the show reaching a record breaking high in ratings for the network, the show has suffered some pretty big controversies as of recent that has, dare I say it, jeopardized the show’s stability. First there was news of the show’s star, actor Michael C. Hall undergoing treatment for a treatable form of Hodgkin's lymphoma which had fans wondering if he would pull through. Then there announcement that his wife and co-star, Jennifer Carpenter filed for divorce from Hall. Once again fans wondered if the two would be able to their differences aside to continue working together. But the biggest hit for the show was during the summer when it was announced that Hall was at odds with the network over a contract dispute. Word on the street was that Showtime wanted to lock Hall in for at least two more seasons of Dexter for 20 million (10 million per season) but Hall’s camp wanted 12 mill per season (24 million for 2 seasons in total). This little hiccup put the future of the show in jeopardy as there seemed to be no nudge by either side’s camp. However, it seems that America’s favorite serial killer has proven to have nine lives after all as Showtime has decided to lock Hall in for at least two more seasons granting him a pay raise of 12 million per season and 24 million in total. David Nevins, president of entertainment at Showtime. Had this to say about the decision to keep Dexter around a bit longer. “Dexter's enormous success is a real tribute to the great achievements of its cast, producers, and the powerhouse performance of Michael C. Hall,” Nevins then went on to say “The series is bigger than it’s ever been in its sixth season, both in terms of audience and its impact on the cultural landscape. 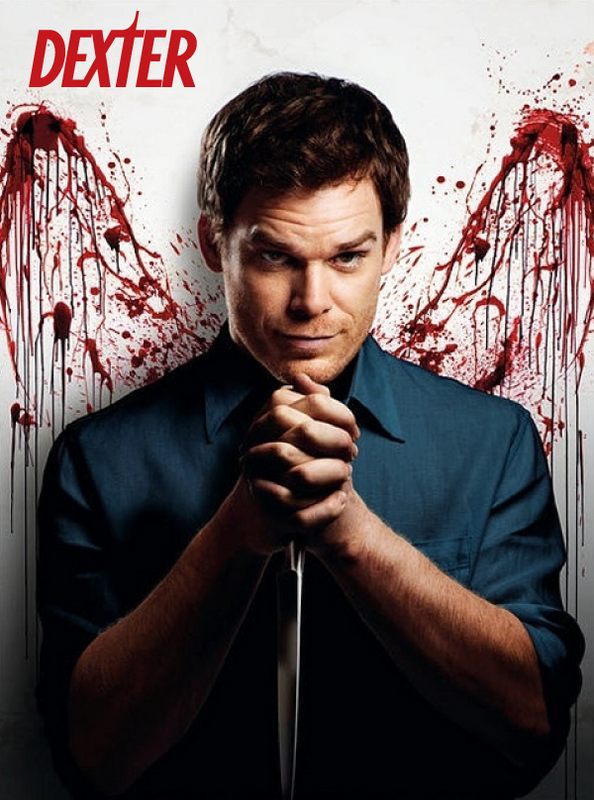 Together with Michael, the creative team on the show has a very clear sense of where they intend to take the show over the next two seasons and, as a huge fan, I’m excited to watch the story of Dexter Morgan play out.” Well then, I guess this means Dex is here to stay for the time being, the only question remains now is if the creators can pull off ending the show on a high note, and where will the next two seasons take our favorite serial killer. Side Tidbit: I know I’ve probably said this before, but I cannot foresee this show ending on a positive note for Dexter Morgan. There’s a lot to be thankful for these days, especially if you’re a fan of the “Boondock Saints” films. It seems like there isn’t a month that goes by these days that word comes out from the Duffy camp regarding Boondock Saints goodness. And to think there was a time where there was little to nothing regarding the series. But if that’s not enough, there will be an entirely new reason to be thankful this holiday season especially if you live in the Los Angeles area. On Monday, November 21st. Troy Duffy and his skilled comic team will be making a special appearance at the Barnes & Noble in Los Angeles for a book signing and also giving away special goodies to the first 200 people who show up and an additional special goodie to only the first 100 people who arrive there first! Now before you drop what you’re doing to secure a place in line, I must stress that you first read the details below before making any hasty decisions. 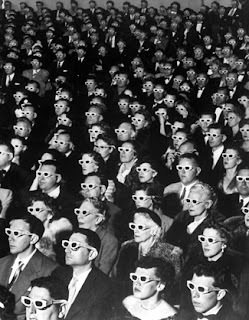 So read on fellow movie buffs! 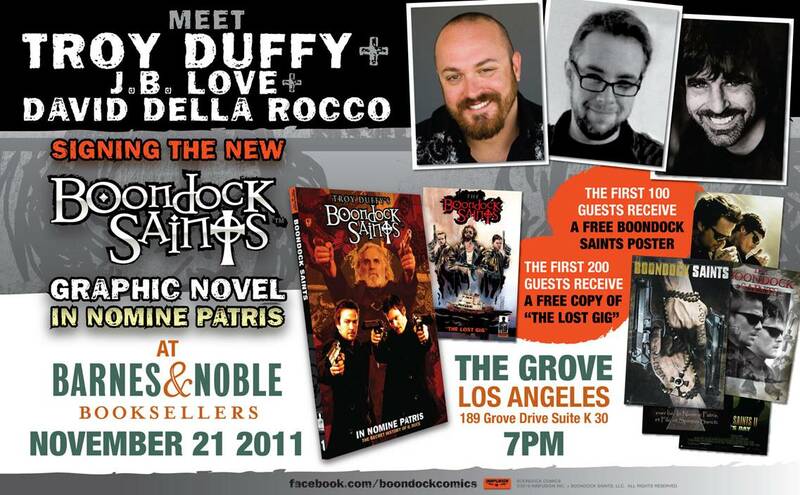 TROY DUFFY and J.B. LOVE - the writers behind The BOONDOCK SAINTS' initial foray into comics will be signing the collected GRAPHIC NOVEL edition at BARNES & NOBLE in LOS ANGELES and they’re bringing DAVID DELLA ROCCO as well! TROY DUFFY’s original BOONDOCK SAINTS film is one of the most successful independent movies of all time, with a fiercely devoted fan base - with nearly 5 million online followers of the franchise. 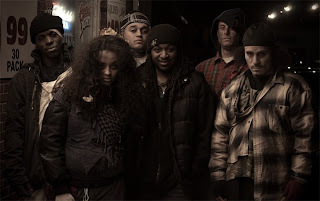 With the hit comic series "IN NOMINE PATRIS", creator/writer/director TROY DUFFY launched the first "Saints" story to take place outside the iconic films. Written by Duffy and comic scribe J.B. LOVE, the comic series is the perfect companion to the films. BARNES & NOBLE will HOST the first signing of the Graphic Novel before it’s available in stores! The FIRST 200 Guests will Receive a FREE COPY of the Exclusive Comic, “THE LOST GIG” starring fan favorite, ROCCO. The FIRST 100 GUESTS will also receive a FREE BOONDOCK SAINTS POSTER. Yes, I’m one of those folks who chomps at the bit 51 weeks out of the year, eagerly anticipating the arrival of Shark Week, which I watch from below a huge oil painting of a Great White stalking the depths, hung in a position of honor above the fireplace. The bar in my home, nautical in theme, is adorned with shark jaws and other maritime treasures. Hell, there’s even a baby shark in a jar. It’s fair to say I love sharks, man-eaters especially. I thank Jaws for that, and Spielberg’s masterpiece is the standard by which all other shark films are judged. Despite how far the Jaws franchise has fallen since, the original film remains not only a horror classic, but a great film, period. It is one of those rare exceptions in that the film version is actually better than the novel. Naturally, I perk up every time I catch wind of a new shark movie hitting theaters or DVD. Subsequently, I’m always disappointed. One of the most popular and successful in recent memory, Deep Blue Sea, was just plain awful, in my opinion. Few things irk me more than CGI sharks. They don’t look real and they’re just not scary. If I wanted to watch cartoon sharks, I’d stick with Jabberjaw. Even Spielberg’s “Bruce,” the mechanical shark that never seemed to work during the filming of Jaws, was scary--because you could tell it was a tangible thing in the water with the actors. Bruce’s lack of cooperation with the filmmakers resulted in what I call a fabulous disaster, though. As much as Bruce’s aversion to salt water made Spielberg question his future in movies, the result was seeing much less of the shark in the first hour of the film, thus heightening the suspense--that same suspense one might feel while treading water in the ocean, wondering what is lurking around you beneath the surface. Weave that with a little footage of real sharks, and you’re halfway to something that will scare people to the safety of hotel swimming pools, rather than playing Russian roulette with Mother Nature by venturing into the surf. A 2010 Australian film called The Reef, apparently based on a true story, is about as close as anything has come to touching Jaws, and it’s worth watching. If you’re just looking for a recommendation, you’ve got it. Stop reading, and check it out. Warning: Spoilers ahead. The Reef is director Andrew Traucki’s second feature film. Pleased with the job he’d done on his first, Black Water, an effective crocodile flick also based on true events, I suspected it would be worth seeing. The story: Luke delivers sailboats for a living. Nice, huh? He and his first mate, Warren, are joined on a delivery cruise by three of Luke’s pals, Matt, Suzie and Kate, one of Luke’s old flames. Along the journey, Luke decides to impress his friends by taking the boat toward a reef for some snorkeling. A sense of foreboding belies the frolicking as schools of fish are seen to scatter. Meantime, the boat drifts dangerously close to disaster as the reef threatens to tear open its hull. The four friends hastily take their raft back to the boat. After some tense moments, Luke seems to have maneuvered the craft out of danger. But then, of course, they destroy their keel on some coral anyway, and quickly begin taking water, which capsizes the boat. Warren, knowing that large predators could be nearby, is quick to get out of the water. As the five ill-fated travelers collect their thoughts and supplies atop the capsized vessel, Luke determines that not only is the boat sinking, but that it’s drifting farther from land as it does so. He estimates they could reach an island after a 10-12-mile swim. 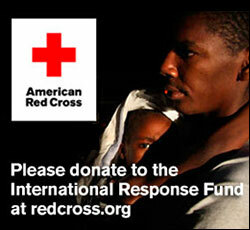 The five must now decide whether to remain on the boat, hoping for rescue, or to swim for it. The sense of anxiety escalates as a large shadow is seen looming in the water. Warren wastes little time deciding that he’ll take his chances on the boat. Meantime, Luke retrieves wetsuits from an air pocket inside the disabled boat. As the other four put them on and prepare for their long swim, Warren reminds them that the wetsuits make them look like seals, a favorite meal for Great White sharks. Still, the others are committed to swimming for land, and Warren and the boat disappear on the horizon behind them as they embark on their journey. According to an afterword, no trace of Warren was ever found. The swimmers soon see a hump in the water. As they get closer, they realize it’s a large sea turtle. Approaching it, they discover the turtle has become a snack for Mr. White. Around this time, the group begins catching glimpses of something else in the water with them. They are being stalked, and start to get picked off, one by one. When the first victim’s leg is bitten off, Matt’s companions rush to his aid, but he urges Luke and the two girls to leave him to die, for their own safety. Not having to be told twice, the remaining three swim on as night begins to fall, but there are constant reminders that they are still being followed. Hysterical and hopeless, the three somehow manage to fall asleep in the open water. When dawn arrives, Luke is the first to wake and notice an island on the horizon. With renewed hope, the three continue toward it. Between themselves and shore, several rocks can be seen jutting from the surface. They reach the first one and perch themselves atop it, taking a brief rest before heading for the next. The tension rebuilds as we see schools of fish scattering once again. Oh, yeah, there’s also a fin slicing through the water, but it turns out to be a dolphin. Just when the mood seems about the lighten, another fin appears, and the Suzie is savagely taken by the stalking shark. Luke and Kate, who’ve managed to rekindle their romance during all of this, make it safely to another rocky perch. Before making one last dash for the nearby island, however, Luke opts to swim back to where their devoured comrade has left a floatation device. This is where everyone watching the film does a face-palm, but Luke safely retrieves it before they embark on the home stretch to land. Using his diving mask first, Luke surveys the sharp drop-off that lies between them and the rocky island. He sees only blackness. More tense moments ensue as they struggle to climb the rock wall that stands between them and the safety of dry land. Long story, short here, she makes it, but Luke is devoured. Final thoughts: Now, although this film is supposed to have been based on real events, I’m willing to bet liberties were taken with the story, because they always are. The climax works, but I prefer my own idea for an ending: As they make their way closer to the island, reaching the final rock standing above the surface of the water, they should have discovered the island is actually a seal colony, where Great Whites feed at will. So, instead of moving toward safety, they would learn they’ve actually been headed into even worse danger. That point of hopelessness, when they’d be left to decide between staying on that rock, or dashing for the island they’d assuredly be eaten before reaching, is where the film should end. Still, The Reef is good nail-biter I’m happy to recommend, especially to those who share my craving for stories of sharks with a taste for human flesh.